Though not, strictly speaking, a polka, nor a rumba, this high energy traditional piece suits a polka party perfectly. It has the danceable feeling of 2 /4, and is simply irresistible. I first heard this played by Fanfare Ciocarlia, the fantastic brass band from Moldova / North-Eastern Romania. We play it in the key of Ab. The form is very folk — three sections repeated as often as you like. 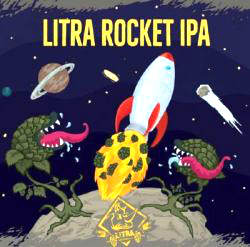 Litra Brewing Company located in Chisinau, Moldova offers an array of styles. The brewery opened in 2013 but is off to a very good start. The Rocket IPA is must try. 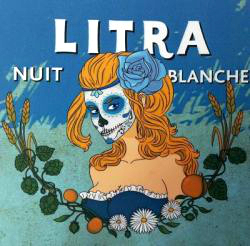 Death insisted on including the Litra Nuit Blanche Witbeer because of the label. Rumba Tziganeasca is also available on CDBaby and Spotify. beer, Black Sea, dance, Moldova, polkas, Romania.